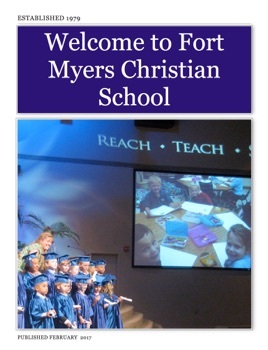 We invite you to our welcome guide to Fort Myers Christian School. The school was established in 1979 as a ministry of First Assembly of God. Our fully accredited preschool through eighth grade program work with the you to help our students to become productive citizens in society and impact the world for Jesus Christ. After you view our promotional video and check out the enclosed information, call 239-939-4642 for a personalized tour.